Savute has gone through dramatic changes over the past two years. From being an arid area with three waterholes to support the wildlife, Savute is now a bona fide wetland. The Savute channel has a very interesting history, drying up and flowing for undisclosed periods of time. Savute was dry for 25 years before the channel started flowing again two years ago. The once dry Savute Marsh is now covered in water and the whole area is undergoing a transition. From being a place which herds migrate into during the wet season the Savute area is now becoming a dry season haven for wildlife. Savute has a dry season and a rainy season. 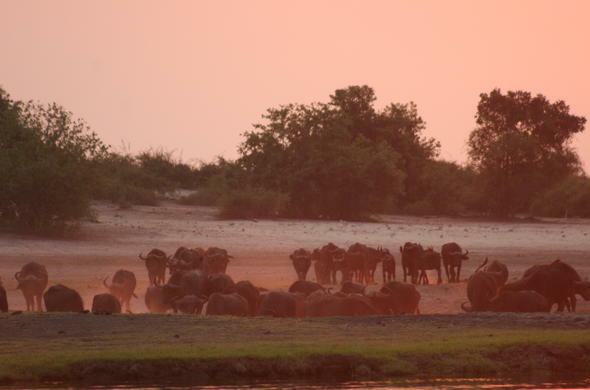 During the dry season the vegetation around the channel is battered by the wildlife, but during the wet season the area recovers and becomes a lush carpet of vegetation. 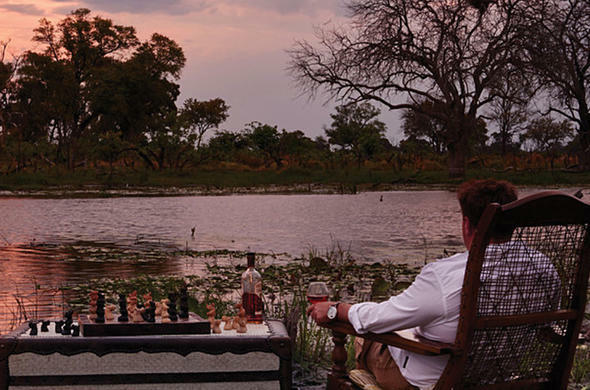 Game drives are the only safari activities offered in Savute and the best time for these drives is during the dry season when the visibility is excellent and the game is concentrated along the waterways. This is the best time for birding in Savute is undoubtedly the wet summer months when bird numbers are at their peak due to the presence of migrants and other species that have moved into the area to feed on the bounty. Birds are plentiful and in April you may not believe your eyes as you watch a single flock of Quelea's flying in a vast cloud numbering many thousands. These little finches form the largest flocks in the world, reaching hundreds of thousands in one gathering. Rather more solitary are terrestrial Kori Bustards and striding Secretary Birds who strut around the Savute.